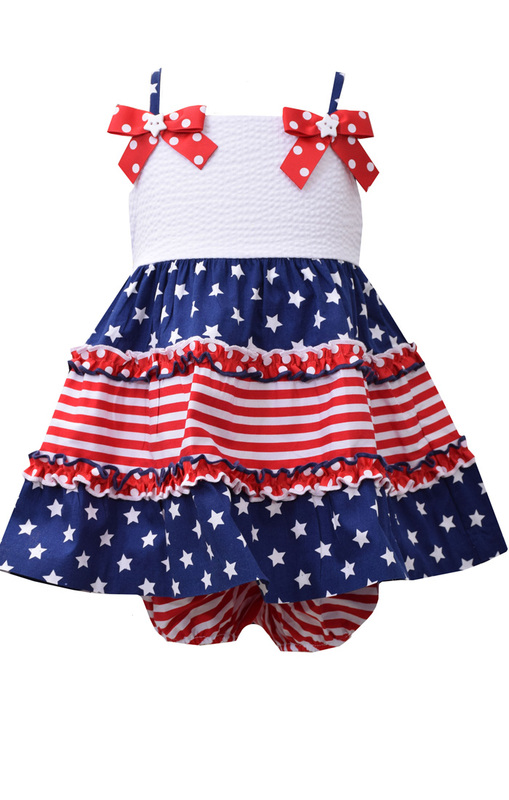 Fabulous baby girls patriotic dress is the perfect way for her to show her spirit. This incredibly precious dress features a white sleeveless bodice accented with bows at shoulders. A striped and star skirt completes this Patriotic Dress!